Before becoming the University of Guelph’s Central Student Association’s (CSA) local affairs commissioner and candidate for president, Jeremiah Rojas was a student at Wilfrid Laurier University, as well as a don at Little House residence and Waterloo College Hall. During his time as a don, there were multiple break-ins at WCH over the 2012-13 winter break and then break-ins the following year in Little House. In 2014, Rojas was found to be responsible for the numerous break-ins. As a don, Rojas was given access to a master key which he allegedly used to break into the student apartments and dorm rooms. According to reports, in total, Rojas was charged with 39 counts of breaking and entering, 10 counts of mischief to data, five counts of theft under $5,000, four counts of mischief and one count apiece of possession of stolen property over $5,000, as well as trafficking of stolen goods. Within the investigation, police allegedly found computers, smartphones, tablets and various personal belongings worth approximately $20,000. Before his time at Laurier, the Peterborough Examiner reported that Rojas pleaded guilty to possession of property obtained by crime in Peterborough in 2010. After the charges were laid at Laurier, he spent a few months in a mental health clinic and 244 days at the Milton Maplehurst Correctional Complex. After his release from jail, Rojas transferred to the University of Guelph to finish his degree, as reported by the Toronto Star. This past week, this three-year-old story has resurfaced, as Rojas ran unopposed in the University of Guelph’s CSA elections. 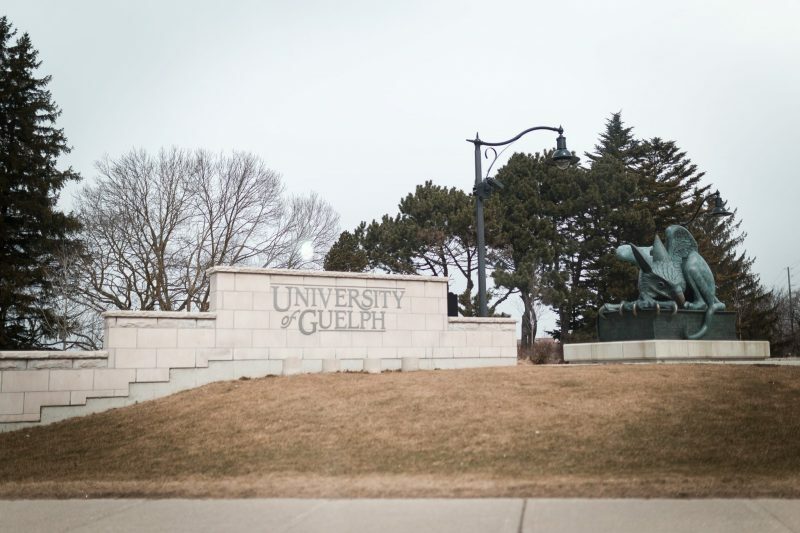 During his campaign period, fourth-year Guelph student Emily Malcomson posted an article from CTV News Kitchener on the Overheard at Guelph Facebook group. When asked why she posted the article, Malcomson had a short response. “I think, plain and simple, I just wanted students to be informed. Whether it swayed their decision or not, I just wanted students to know,” Malcomson said. Addesse Hail, former Residence Life don at Waterloo College Hall with Rojas, explained that when he first met Rojas at don’s training, he was respected by his peers for being a student leader. “Jay struck me as someone that was really dependable, kind and warm. He had this phrase he used to use about leadership and being in service to others to live that in his life, so my first impression of him and after working with him of that year was a person of really strong integrity,” Hail said. Hail allegedly had money stolen by him but never pressed charges against Rojas. Hail wrote an open letter to Rojas in regards to the alleged theft and said he just wanted an apology. “I genuinely wish Jay the best. I just really want closure,” Hail said. Former first-year residence house council student Jameson Di Nucci who is now a fourth-year residence education advisor, spoke of his initial reaction when he heard that Rojas was running for president. “I heard [about him running for CSA president] from a friend at U of G because they messaged me and asked if I knew Jeremiah. I was aware that he was at U of G … but I didn’t know he’d get involved to the extent that he is now. It seems a little close to home and a bit soon,” Di Nucci said. Di Nucci also explained that Rojas was well respected by peers in residence council. “I was in my first year and as a naive first-year, when you are around a lot of student leaders, you look up to them as the leaders that they are. I thought he was a great guy and well respected and I could see that he was respected by other dons and other students,” Di Nucci said. Rojas created a personal statement on his Facebook account, sharing that he takes responsibility for his past but wants to look into the future. “I won’t disregard my past, because it plays a role in the present. I will, however, focus on the future because that’s where I want to go. A future where every individual is accepted … I am humbled and thankful to continue to call Guelph my home, and Gryphons my family,” said Rojas in his Facebook statement. On Thursday March 9, the unofficial results of the 2017 CSA general election concluded that Rojas was not voted in as president, as 2,065 students voted no, 1,962 students voted in favour and 423 students declined to vote in the election. “His campaign claims to be for the students and his past sort of shows that he’s not always for the students,” Malcomson said. The Cord has reached out to both Rojas and The University of Guelph for a comment but did not receive a response.